On June 4, 2010, the Government of Québec assented to An Act to provide a framework for mandatory state financing of certain legal services (S.Q. 2010, c. 12). This statute amended the Legal Aid Act (CQLR, c. A-14) which is now entitled Act respecting legal aid and the provision of certain other legal services. On August 12 and 18, 2010, the Cabinet adopted the ministerial order and the orders in council to bring the Act and its regulations into force, effective September 7, 2010. The main purpose of the statutory changes is to provide the State with a better framework for managing the provision of certain legal services and the costs it must assume that are associated with its legal and constitutional obligations in criminal and penal matters. To this end, the Commission des services juridiques and Québec's community legal centres have been entrusted with new responsibilities in order to ensure that the State's obligations are met in a manner that is efficient and makes proper use of public funds. The scope, complexity and duration of certain criminal and penal proceedings, now referred to as “mega-trials”, sometimes require that the State provide the accused persons, whether or not they qualify for legal aid, with lawyers to represent them before the courts and to pay for all or part of the lawyers’ fees. Within this framework, the Act respecting legal aid and the provision of certain other legal services now allows the Commission des services juridiques, of its own initiative (section 61.1) or pursuant to a court order (section 83.1), to see to it that the services of a competent lawyer from within the legal aid network or a lawyer in private practice are provided to the accused. The accused may benefit from such services if he proves that he cannot represent himself, if his state of indigence is demonstrated to the administrative or judicial authority, as the case may be, and if an infringement of his constitutional right to a fair trial has been recognized. The creation of a tariff of fees adapted to this type of trial and the establishment of a list of lawyers willing to accept this tariff will reduce the time needed for negotiating the fees of the lawyers involved in a mega-trial. This set of measures will help to substantially reduce the delays and costs of mega-trials. 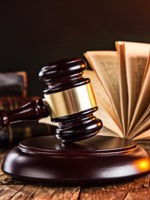 A second component of the statute is intended to assist those courts that designate a lawyer ex officio to represent an accused within the scope of certain proceedings under the Criminal Code. The Commission des services juridiques, in cooperation with the community legal centres and the Barreau du Québec, has prepared a list of lawyers willing to be designated ex officio by a court in such circumstances. More detailed information regarding these two components is available under the tabs “Mega-trials” and “Designation Procedures”.